You may never of heard of him. And that’s fine. You may not know the team he coaches or his path to get there. And that’s fine too. But what you may not know is the head coach for Florida Gulf Coast, Joe Dooley, is the next great coach in College Basketball. Dooley coached East Carolina from 1995-1999. He went 57-52 in his tenure with the Pirates. A good record for a program that doesn’t have much college basketball pedigree. After a miserable last 2 years with the Pirates though, he was let go. And he had a long trend of being an assistant coach. Dooley went from being the assistant coach at New Mexico, and then to Wyoming and then finally found a home in Lawrence. 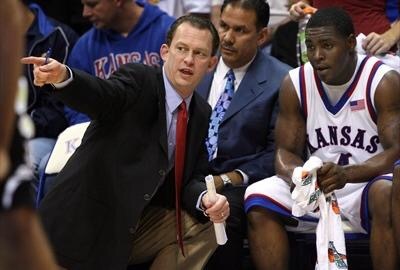 Bill Self hired Dooley to be his top assistant coach for the Jayhawks. Dooley was there for 10 conference championships, 2 final fours and 1 national championship win. And he got to learn under one of the best coaches in the world. Dooley, left the Jayhawks in 2013. He wanted a new challenge. He was ready to be a head coach again. And after 14 long years of not getting that gig, he finally got it. In sunny, Fort Myers, Florida. Florida Gulf Coast was looking for a new coach after their former coach, Andy Enfield who led Florida Gulf Coast or “Dunk City” to the Sweet 16 in 2012, left for the head coaching job at USC. So, FGCU called Dooley about the opening position. And Dooley accepted. And Florida Gulf Coast has yet to miss a beat. In his first year? He only lead the Eagles to shared conference championship, going 22-13 and an NIT bid. His second year? Well they finished 2nd in the conference and finished the season 22-11. And then Dooley and the Eagles broke through. In his 3rd year, Dooley lead the Eagles to a NCAA tournament appearance after finishing the season 21-14 and winning the Atlantic Sun tournament. The Eagles were rewarded a 16 seed, defeating another 16 seed, Fairleigh Dickinson, 96-65 in the first four matchup. Then the Eagles had a tough matchup in facing the number one seed North Carolina. No the Eagles did not beat the Tar Heels, the future National Runner ups. But it’s not like they rolled over and died. That’s not how Dooley coaches his team. The Tar Heels defeated the Eagles 83-67 in a very competitive 1 vs 16 matchup. The Eagles season was over, but Dooley was still looking to improve. When the 2017 season started the Eagles and Dooley soared. The Eagles finished the 2016-2017 with a 26-7 record, winning the regular season championship and the tournament championship, clinching a second straight NCAA tournament appearance. The Eagles were matched up with Florida State. Another ACC powerhouse. Dooley proved he was a great coach in this game. After Florida State opened up a big first half lead, Dooley had to make adjustments. And adjustments he made. Dooley went to 2-3 zone and sparked a 10-0 FGCU run that gave them a one point edge with 3:58 to go in the first half. The zone controlled the game, it controlled the length of Florida State. It kept FGCU in the game. Florida States length and talent ended up being to much for FGCU. The Seminoles won the game 86-80. But that game put FGCU back on the map. The last 2 seasons put FGCU back on the map. And the reason? Joe Dooley. The 2017 Atlantic Sun coach of the year. It’s been a long road for Dooley. He had to wait 14 years to get back to being the head man on the bench. He bounced from place to place, he’s been fired, he’s succeeded. He’s seen it all. Dooley knows how to coach. In his four years at Florida Gulf Coast, Dooley has a record of 91-45. Very impressive record for a mid major. 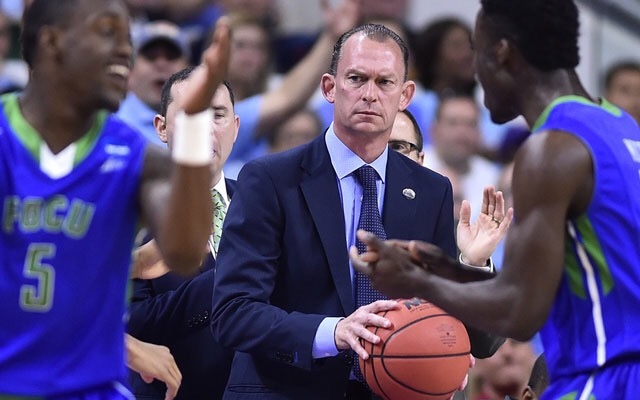 Whether Dooley stays at FGCU for the rest of his young career or not, Joe Dooley is the next big coach in college basketball.